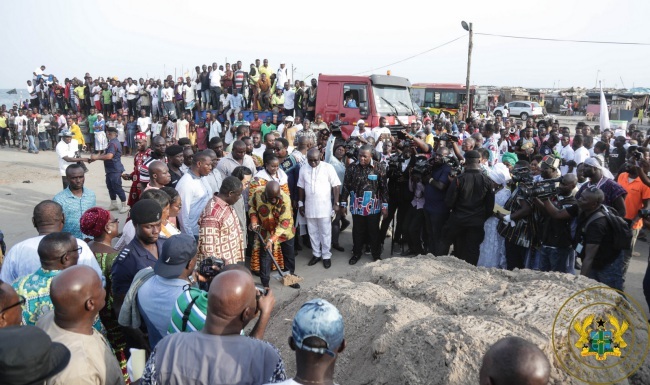 These were the words of President Akufo-Addo on Wednesday, 5th December, 2018, when he cut the sod for the construction of a fishing harbour at James Town, in the Odododiodioo constituency, in Greater Accra. “We are not gearing the developments of the nation to areas that support us, and neglecting areas that do not support us. We are determined to develop Ghana, all of Ghana. What is going on is the development that meets the needs the people, and not developments that respond to partisan, political considerations,” President Akufo-Addo said.